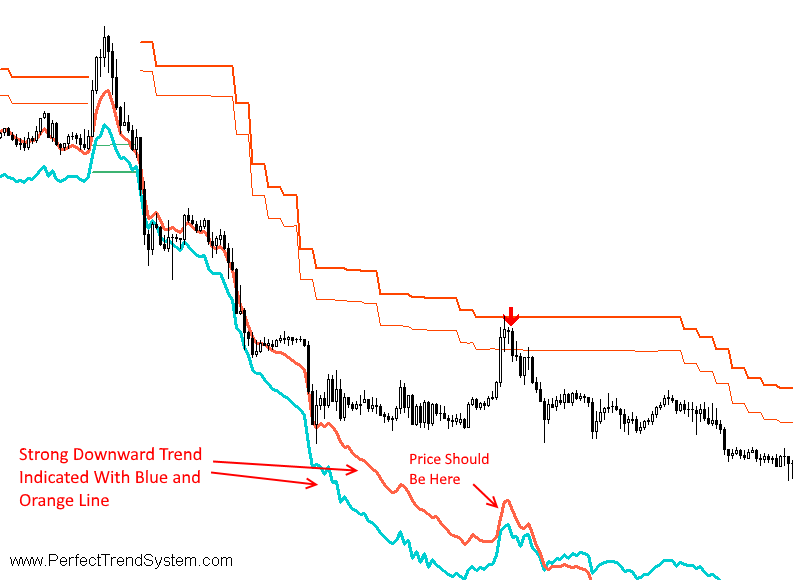 With this system you can spot highly profitable trades in direction of strong trends. You will profit from stop hunt moves initiated by the smart money! 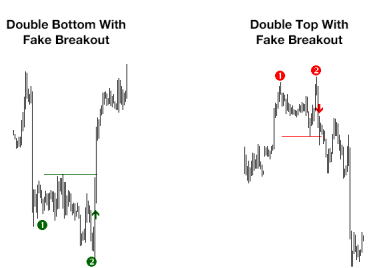 According many of my clients this indicator is the best momentum indicator available for MT4. Read all details about the 500% profit within 3 months! 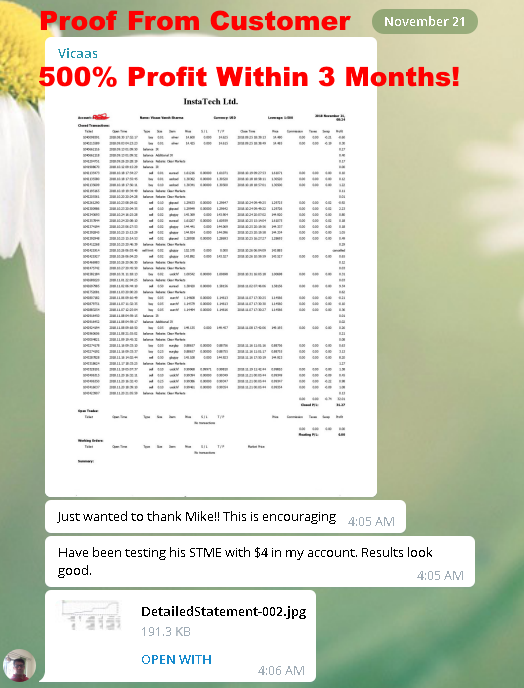 You can get access to the free telegram group by downloading the FREE Version, where you can talk to the people who gave this great reviews and where you can discuss setups. 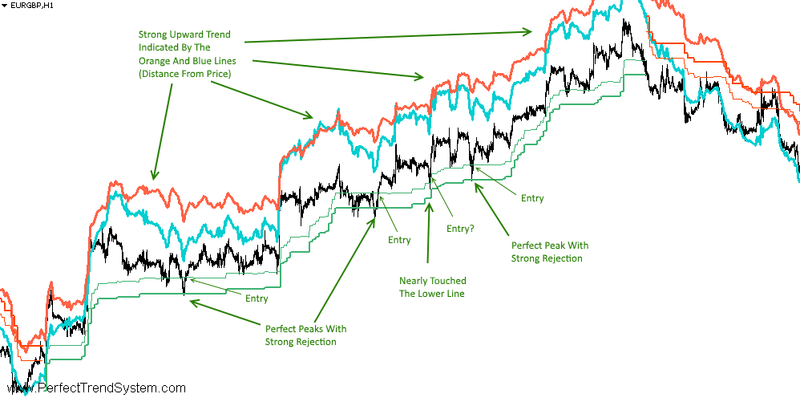 Request the FREE version of the system Strong Trends + Magic Entries which works on AUDJPY and EURCAD! Fill out the form below and start using the FREE Strong Trend + Magic Entries System within minutes. 3. The price then have to jump above the 2 thinner orange-red lines and then must be rejected below the two thinner lines again. This forms a peak (an inverted V). The peak should consist of maximum 4 candles. 4. The entry signal is the move below the lower line of the 2 thinner orange-red lines. 3. The price then have to jump below the 2 thinner green lines and then must be rejected above the two thinner lines again. This forms a peak (a V). The peak should consist of maximum 3-4 candles. 4. The entry signal is the move above the upper line of the 2 thinner green lines. 7 Days Money Back Guarantee! No questions asked. I will directly refund your money if you request within 7 days after your purchase. Exceptions: If I already answered questions about the software then I invested my personal time and then I can't give you a refund or if you downloaded the free version of the software before the purchase. The following 3 screenshots are showing the 3 edges of this trading system. A trend with a strong momentum is indicated with a thick blue and thick orange line which are both strongly leading the price. In the following screenshot you can see that the downward movement of the price is pausing while the blue and orange line are making lower lows. A gap between the two lines and the price emerges. The price tends to fill the gap with a high probability (>80%). Therefore, the trend will continue with high probability! 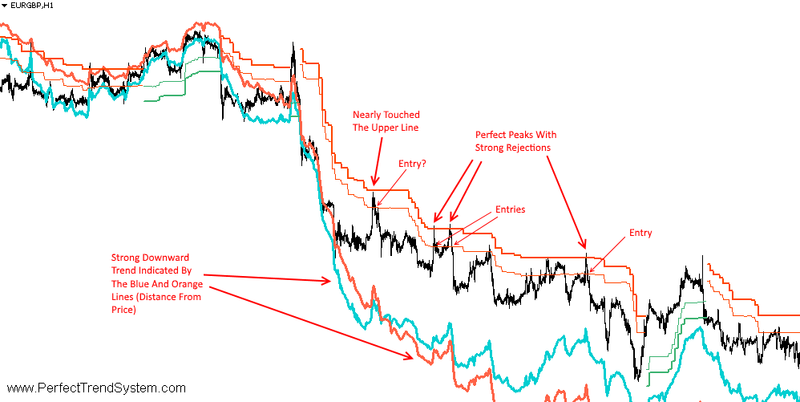 You can read more about the blue and orange line of the PTS in Article1 and Article2 which describe the trading method "Perfect Momentum Setups". 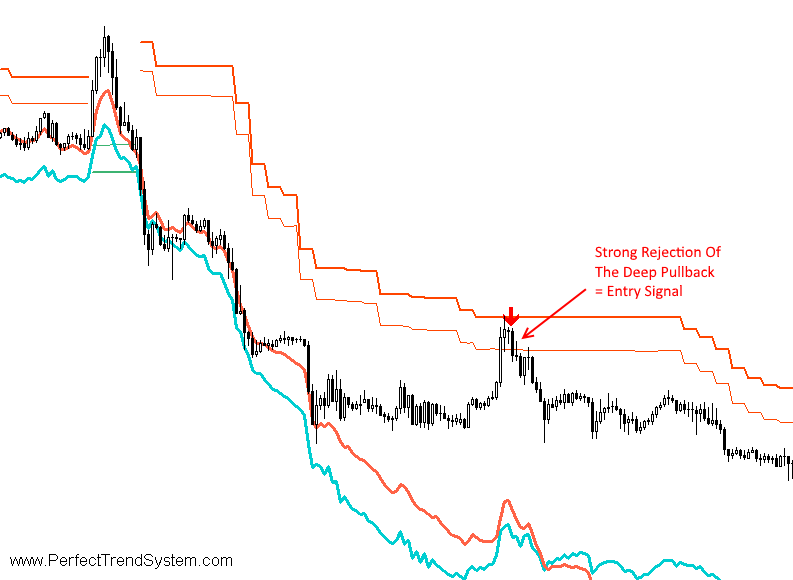 A strong rejection of the deep pullback is the final signal of this system to enter into the strong trend. The deep pullback during the strong trend already smelled fishy. 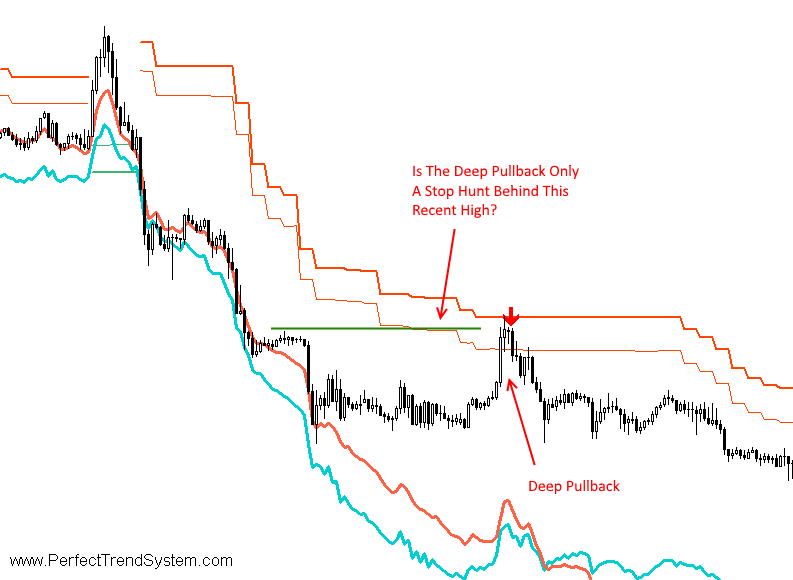 Why should the price retrace so far against the trend if it is not done by the smart money to hunt stops? The strong rejection from this cheap price level gives the additional confirmation that this deep pullback happened for a reason. The reason was that the smart money needed re-accumulate its position and is now ready again for the next profit release phase (the continuation of the trend). 7 Days Money Back Guarantee! No questions asked. I will directly refund your money if you request within 7 days after your purchase. Exceptions: If I already answered questions about the system then I invested my personal time and then I can't give you a refund or if you downloaded the free version of the PTS_Trend_WithMAgicEntries before the purchase.